Last year I applied through the ballot to run this year's London Marathon and unfortunately wasn't successful. 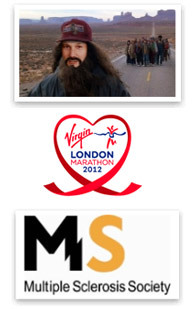 Not wanting to give up I contacted MS Society, the registered charity I had intended running for and asked if I could be added to a shortlist incase anybody couldn't run. Guess what? They just confirmed I have a place! GUESS WHAT AGAIN!! I ONLY HAVE TWO MONTHS TO TRAIN!! We are open to working with multiple charities but our first BIG event will be in aid of The Christie, helping people to fight cancer. All of the money we help raise goes to charity and one day we hope to achieve full charity status. We appreciate all of the support we can get and welcome anybody to get involved in helping to fundraise.